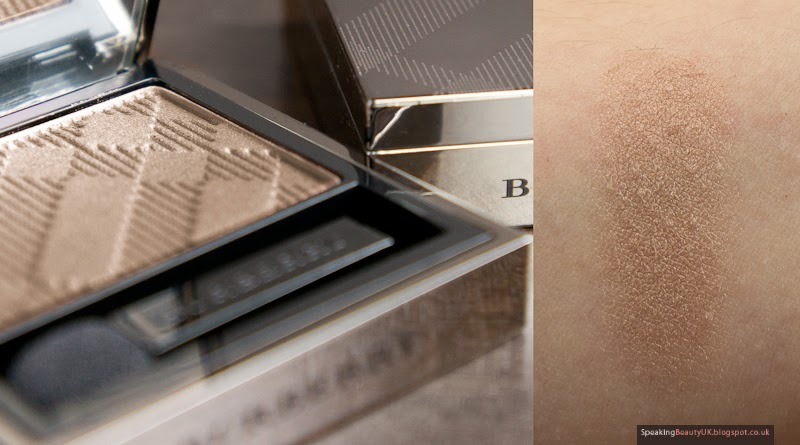 All of a sudden I started seeing some of my favourite YouTubers (like Vivianna Does Makeup) raving about Burberry Eyeshadows and I couldn't help but feel curious about their products, which led me to go have a look at their entire line in their store in Regent Street, London. I immediately fell in love with everything. 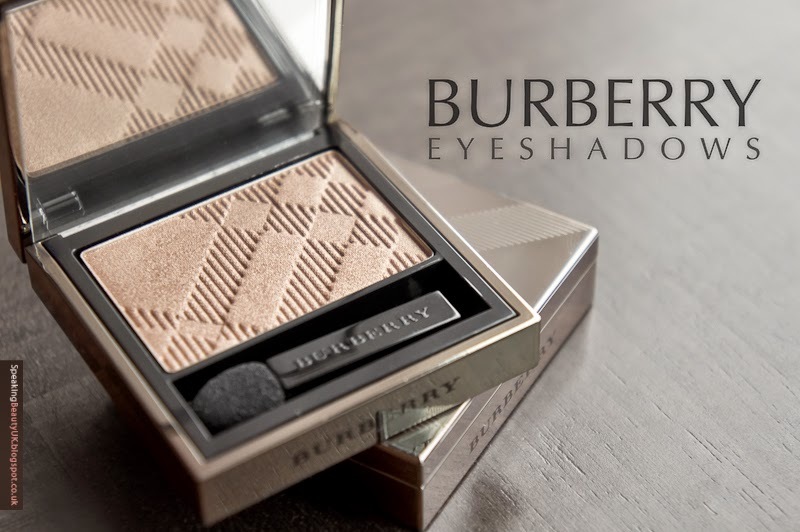 I had never owned any Burberry makeup so I thought my first purchase should be one of my favourite items, the eyeshadows. I picked up Pale Barley and Midnight Brown. 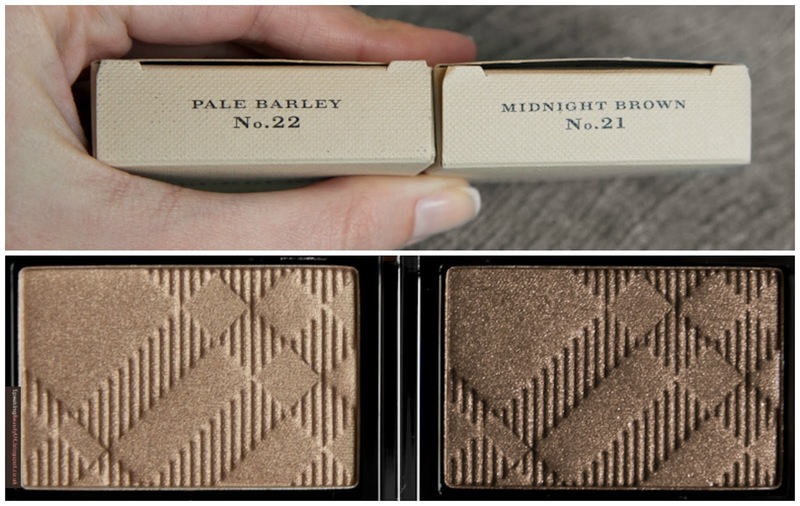 Pale Barley No 22 is a beautiful soft cool toned beige / gold that I find absolutely perfect for everyday. I didn't manage to capture in my swatch just how lovely it really is. Not matte but not too shimmery either. It's just got the most beautiful golden sheen to it. I mainly wear this on it's own, with eyeliner and mascara. Such a simple but very elegant look. Midnight Brown No21 is a taupe brown with lovely golden shimmers all over. I tend to wear this one more for night time looks. Also beautiful on it's own or in the crease, paired with Pale Barley all over the lid. The packaging, as you can see, is stunning! 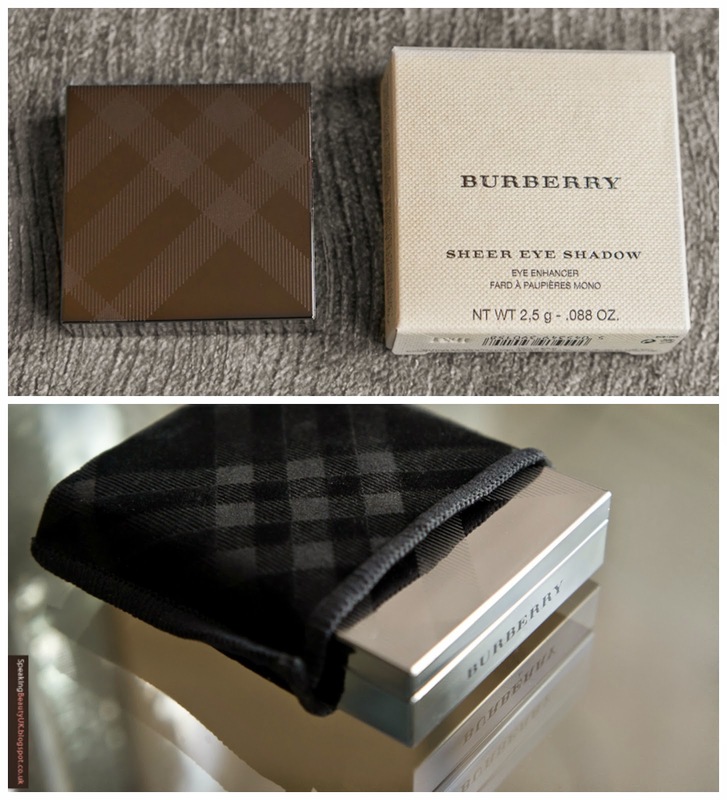 It comes in a lovely beige box, typical colour of Burberry's famous trench coats. The heavy metallic check case looks and feels very luxurious. It's got a magnetic close and a big mirror, which is great. You also get a little check sleeve, that might be useful for travelling, to protect the packaging. My only slight criticism is that it comes with a soft sponge applicator, which I personally couldn't care less. I think high end products should never include these, as someone who has money to afford them, also has money to afford decent brushes. So I'd rather not have the brush and have a smaller and more compact packaging. But no major issue here. The eyeshadows themselves, although not so unique in colour, have an amazing quality. They are really buttery and easy to blend. They can be applied dry or wet but I have only tried them dry so far. The pigmentation is so good, I haven't felt the need to wet them. Also, I don't experience fall out with them, which is always a plus. They retail for £22.50-£23 and you can buy them from Boots now. I was lucky to get them a little cheaper at the airport when I went on holiday a couple weeks ago. Do I think they are worth the price tag? 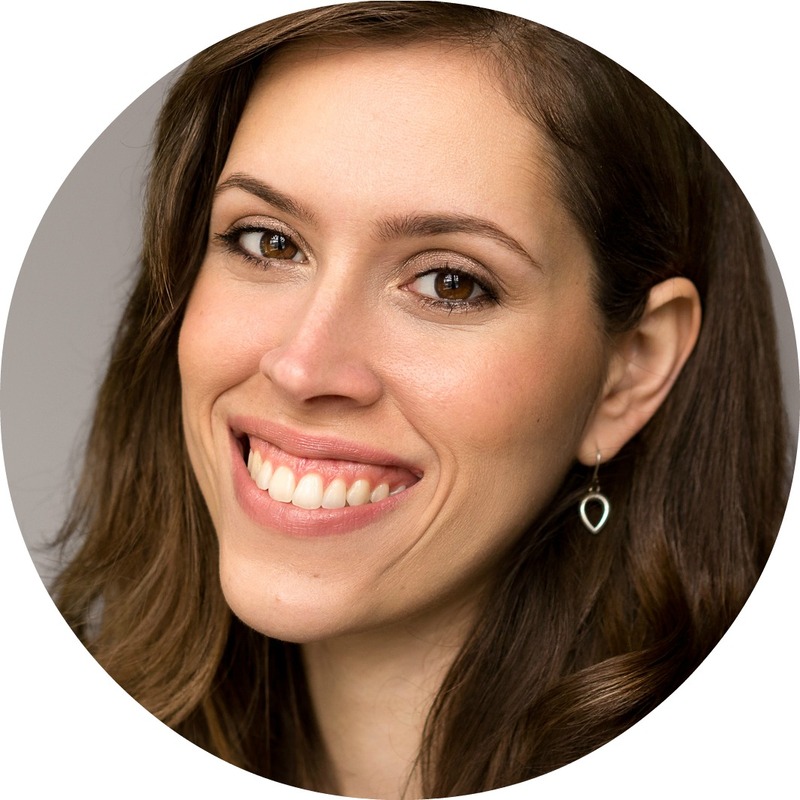 If you have the money to splurge, YES! They are expensive, especially when you think that you can buy a whole Urban Decay palette for just a little more but if you're looking for something more luxurious, I'd say these are the ones! They are pretty and perform amazingly well and therefore are worth the investment, in my opinion. I'd say these have become one of my favourite eyeshadows now. 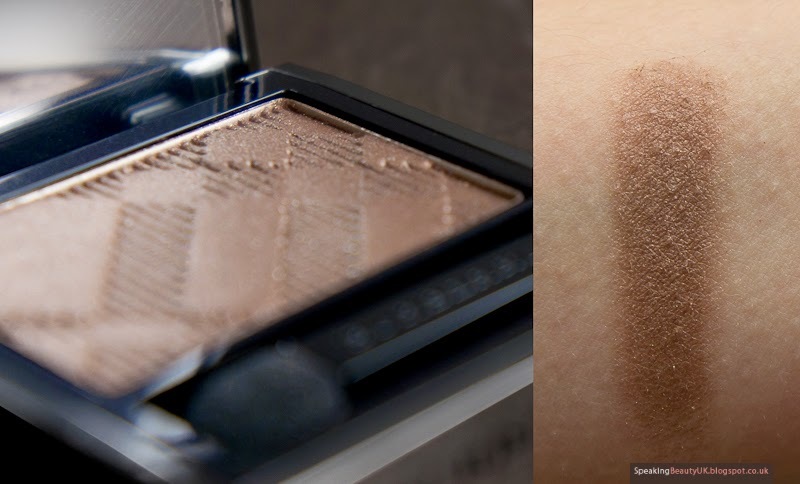 If you like the look of Pale Barley but can't quite afford it yet, I'd say Mac Patina is fairly similar and a really nice eyeshadow too.